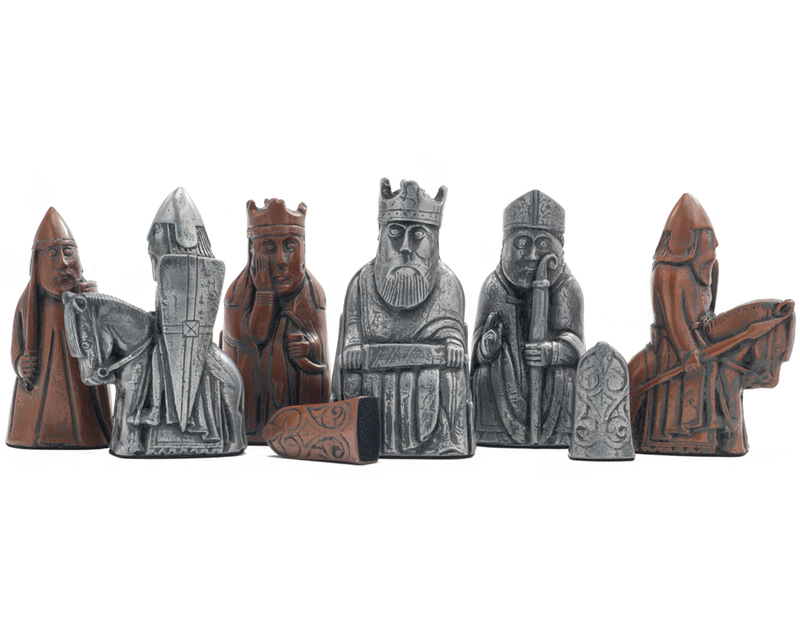 These luxury resin chess pieces are a striking new interpretation of the iconic Isle of Lewis chessmen, and have been skillfully sculpted in Somerset, England by Berkeley Chess. 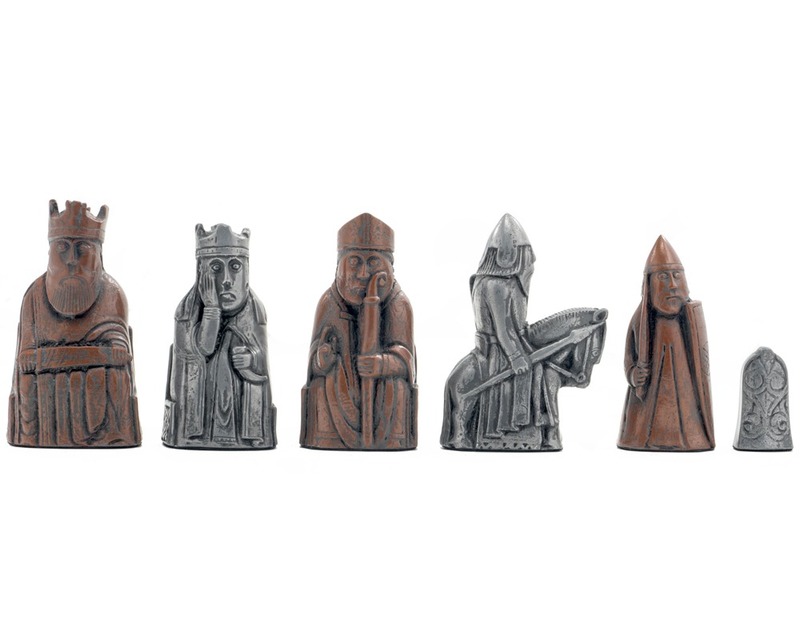 The original Lewis Chessmen were carved from walrus ivory and whale teeth. 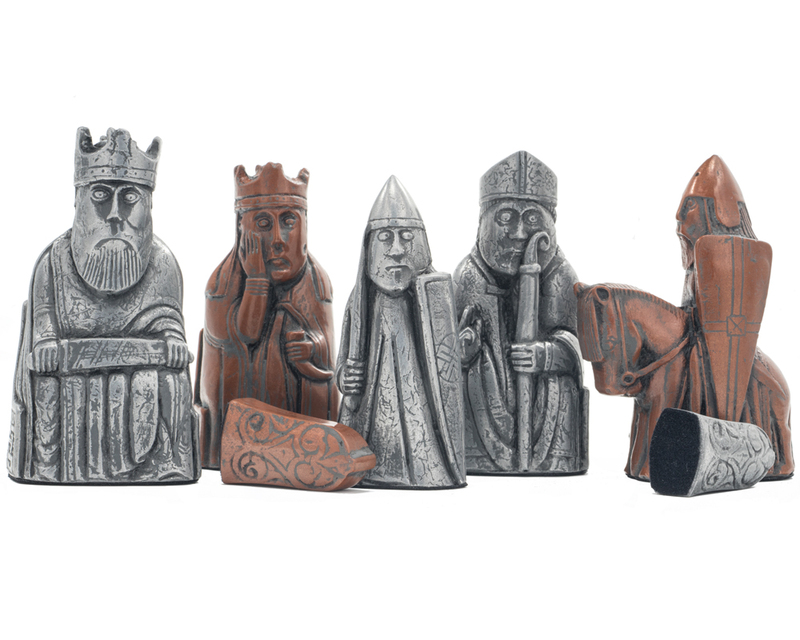 The carvings on this new Lewis set are more finely detailed and characterful due to their stone resin construction. The original Lewis pieces were found in impeccable condition; only the colouring showed significant wear. 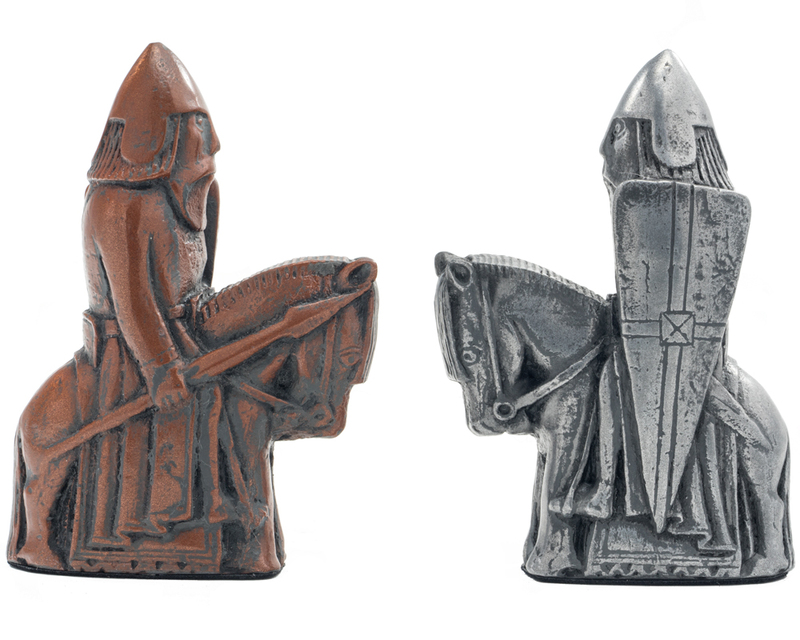 This gave historians a good indication of how the game of chess was played in medieval times and allowed sculptors to bring the designs forward into modern chess.